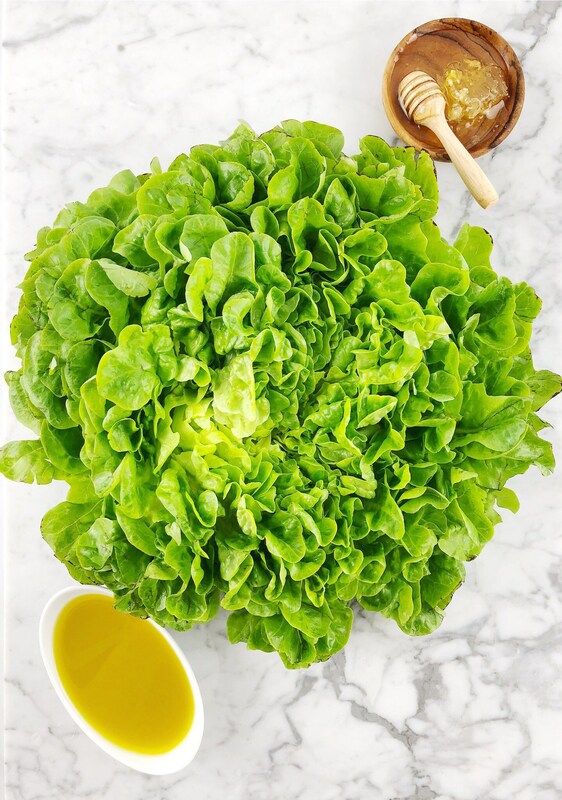 Honey Mustard dressing can be used in so many salads! Its sweet but yet has a slight tang. I usually add some feta and almonds too but, I found this (beauty – looks like a flower) lettuce at the farmers market this past weekend. So I am going to just drizzle the dressing over it and serve for dinner! Keep in airtight container in fridge. Lasts about 1 week..